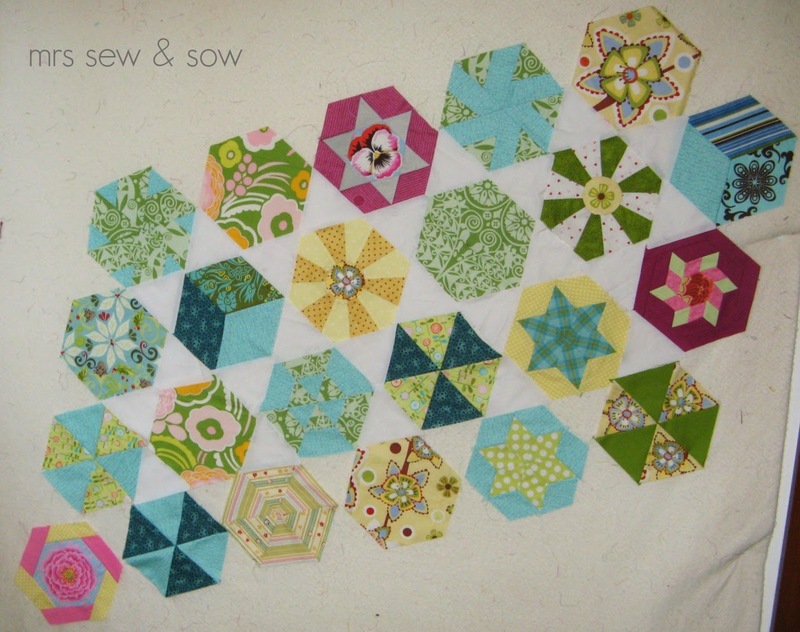 mrs sew & sow: Millefiori! Or the duckling that turned into a swan! So very stunningly beautiful. Great rinds with great advice, but ultimately made unique by you. ... and the winner for playing outside the comfort zone is .... Nicky aka Mrs Sew and Sow! Great job! I love it. I am glad you got it out of its hiding place. 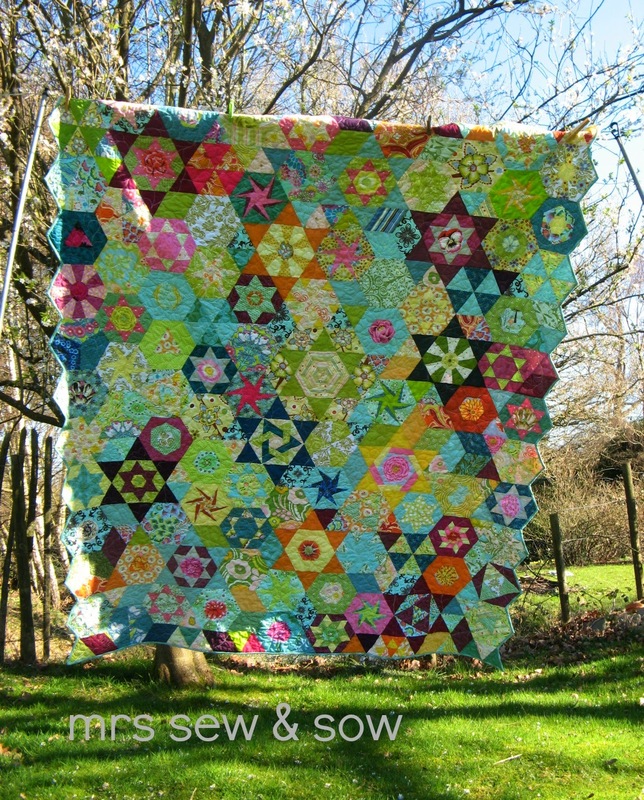 what a lovely quilt and you can see how much work went into making it! Wow!!!! This is incredible!! It so reminds me of millefiori and the colours are just amazing. Truly spectacular! Stunning and awesome! Amazing work! gorgeous! One of my favorites that you've made. Fabulous! A really stunning top! breathtaking! so glad you decided to live dangerously. This really looks fantastic! Love it!! I really like it, gorgeous ! IT IS BEAUTIFUL! Your post is cracking me up and the quilt is a stunner. Stars all around, Nicky. 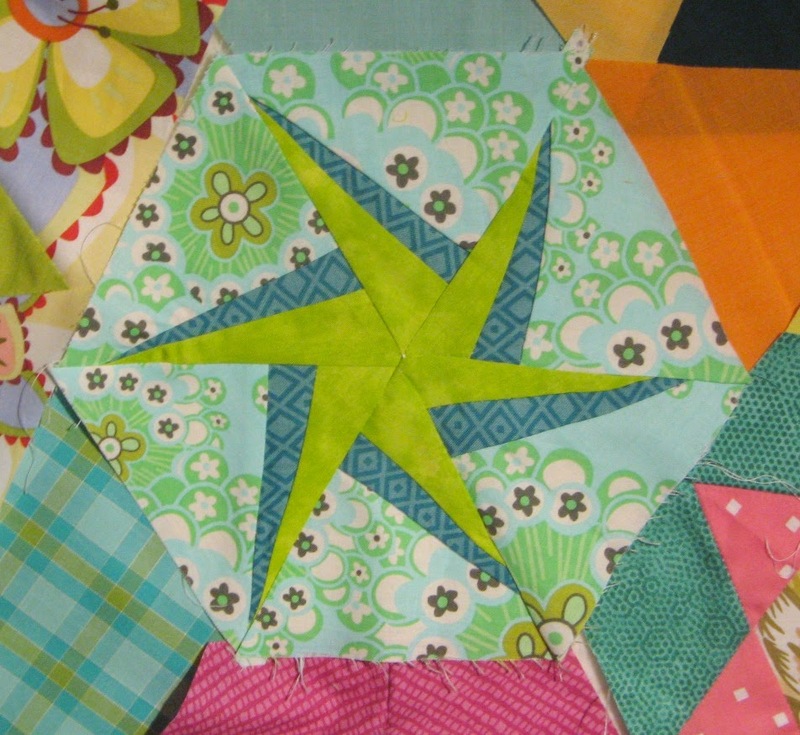 I love the color, the randomness, the piecing, the funky zig-zag edges. Super. It's gorgeous and I love the edge of the quilt. Another beauty!!! Wow!!! 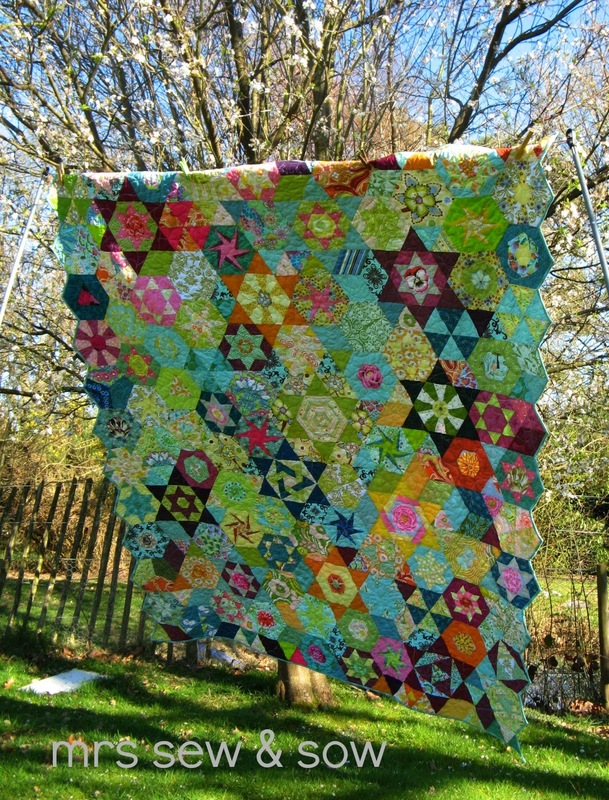 This is stunning, you should be really pleased with your fabulous quilt. I keep going back to your quilt for another look. 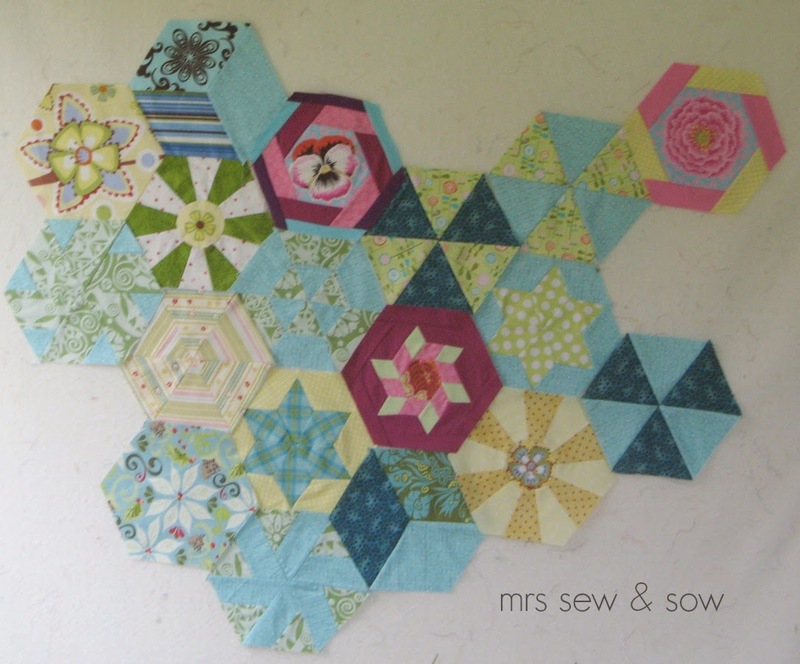 What size are your hexies? Mr quilting loves your quilt too! Brilliant, and how lovely you have people with great taste to bounce ideas off. It's fabulous Nicky, a real credit to you and the bloggers who inspired you! It does look great in the end, glad you finally decided to rescue it! Nicky, it's gorgeous! And my favourite green! I bet you're so pleased you picked it up again. This is stunning! A fantastic finish! I love how it turned out! It's so lovely and bright! 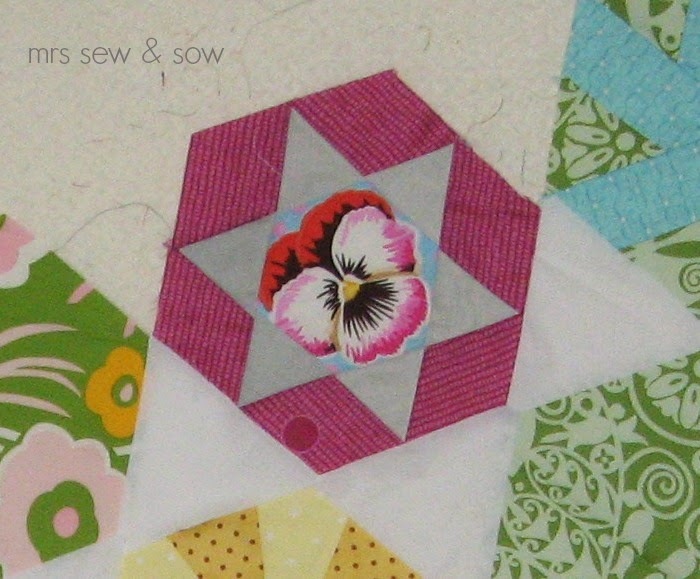 It's stunning and I can't quite believe how different it is from those first few hexies! Bravo!